Manila (Agenzia Fides) - More than five million devotees attended the "Traslacion", the annual procession featuring the image of the Black Nazarene, which started on January 9th, with a prayer vigil during the night. This feast is a manifestation of popular devotion in the Philippines that has lasted more than four centuries, with millions of devotees who place their hopes in the suffering Christ. The theme of the "2019 Traslacion" is "Devotees of the Lord Jesus the Nazarene: chosen to serve him". The peak of the program is the traditional procession through the streets of Manila with a statue, in black wood, depicting Christ carrying the cross towards the Calvary. Thousands of believers converge from all over the country to Manila to attend this feast. 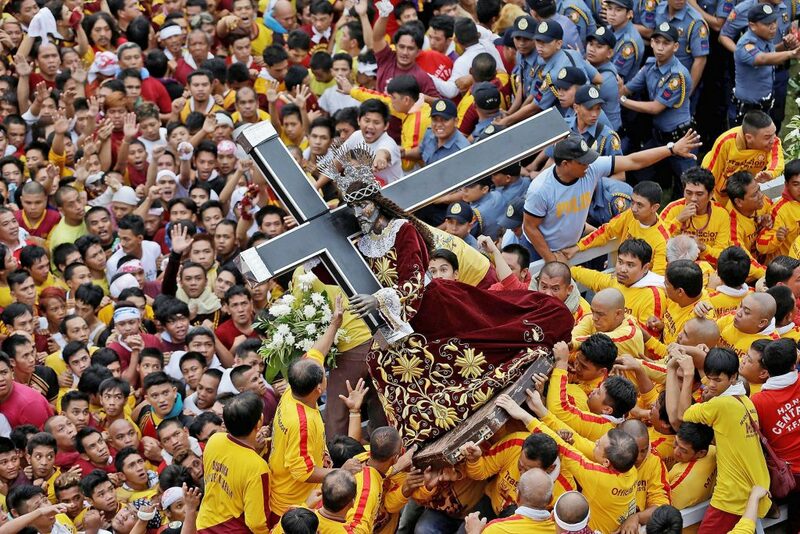 The statue of the Black Nazarene was brought to Manila in 1607 by Augustinian missionaries from Mexico. It is also believed that it was partially burned and blackened when the galleon carrying it caught fire on a transpacific trip from Mexico, another Spanish colony at the time. Mgr. Hernando Coronel, Rector of St. John the Baptist Church, in Quiapo district, in Manila, explained to Agenzia Fides: "The feast of the Black Nazarene revolves around the devotion to the suffering Christ, with whom Filipinos identify themselves, in their life marked by poverty and daily suffering. Along the route of the Traslacion, a procession of almost 24 hours carrying the statue begins at Quirino Grandstand, in Rizal Park, in the center of Manila, and ends once the statue reaches up Quiapo Church". Metro Manila news is something that energizes me everyday.